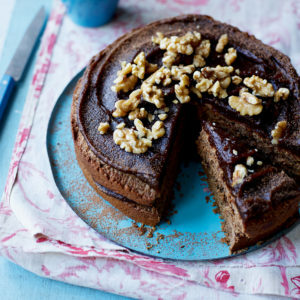 The magical combination of chocolate and hazelnuts isn’t just for fussy kids at breakfast. Wellington restaurant Loretta boasts a popular and unconventional menu item that’s being devoured with great vigour by its food-conscious clientele – a chocolate and fresh hazelnut ‘toasty’ (or toasted sandwich). Loretta’s schtick is highlighting produce, grains and whole foods of the highest quality, in a modern minimalist setting. While it may sound like fairground food, the indulgent stack combines two thick slices of house-made milk loaf wedged together with sticky banana slices and a not-so-sweet chocolate and hazelnut spread made using locally-sourced hazelnuts and 72% dark chocolate. Read about Khoollect’s visit to Loretta. 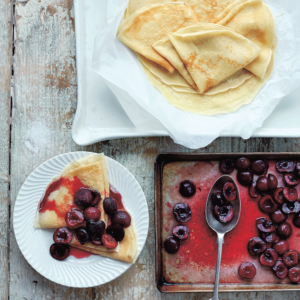 Read Khoollect’s interview with owner Julie Clark. Roast the hazelnuts until they are an even golden colour. Remove from the oven and sprinkle with the coconut sugar. Allow to cool, then process the nuts and sugar in batches in a food processor for 10-15 minutes until smooth. Melt the chocolate using a bain marie, and add the processed nuts. Mix to combine, then tip into a sterile glass jar to store. To assemble the toasties, spread the bread out on a board and layer a generous covering of the hazelnut and chocolate spread on each slice. Slice the banana and place on top of two pieces of bread. Place the remaining two slices of bread on top to form sandwiches. Melt a little butter in a heavy bottomed fry pan. Add the two sandwiches to the pan and gently cook. Once golden, carefully turn over and fry the other side until cooked. The chocolate and banana should be warm and oozy. Serve with a dusting of icing/powdered sugar. If only we could visit, Connor! There’s so much culinary and creative goodness coming from your neck of the woods right now.